The Ukrainian Institute of National Remembrance is planning to propose a new bill to rename legal entities whose names are associated with the Russian Empire, the Chairman of the Institute Vladimir Vyatrovich said at a press conference on April 8. According to Vyatrovich, his institute has started working on the bill. He believes that “after the process of de-communization, a process of de-colonization” will be able to start thanks to the bill. Vyatrovich added that the bill would also rename place names associated with the Russian Empire. Also, all objects repeating geographical names used in the Russian Federation are also to be renamed. 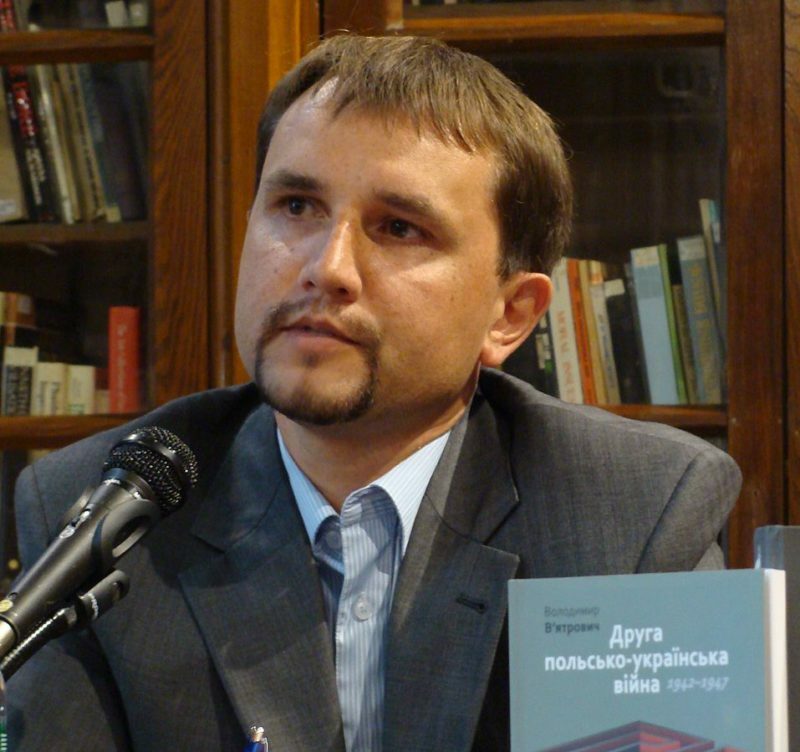 On March 14, Russia’s Investigative Committee opened a criminal case against Chairman of the Ukrainian Institute of National Remembrance Vladimir Vyatrovich for glorification of Nazi criminals. This entry was posted in News from Ukraine and tagged Revival of Fascism, Ukraine, Ukrainian Institute of National Remembrance, Vyatrovich, War of Ideas. Bookmark the permalink.